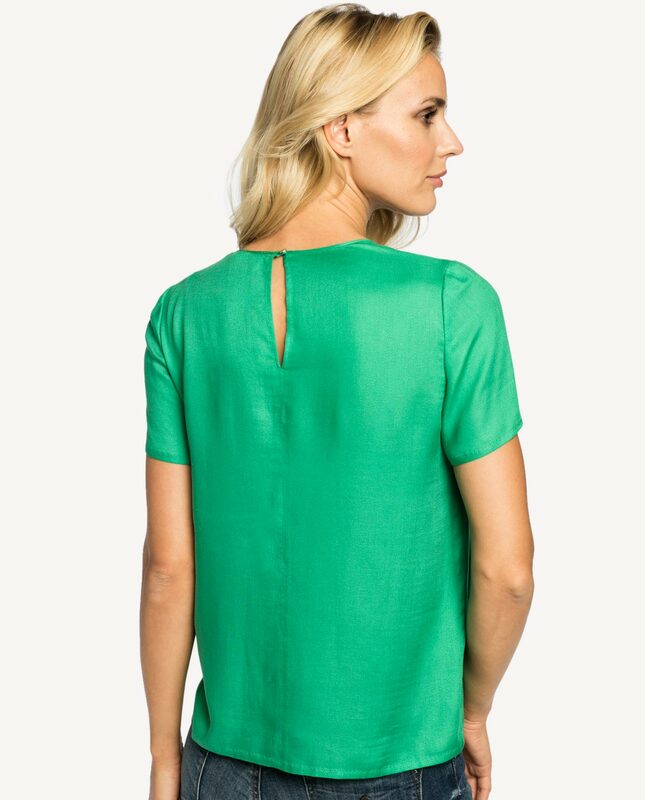 A green short-sleeved blouse in soft viscose fabric which perfectly fits to the body shape. Looks gorgeous and feminine and, with a decorative draped front, seems even more romantic. A blouse is a foundation piece in any woman’s wardrobe, ensuring a limitless number of looks which reflect your personality. Paired with classic cigarette trousers and tight-waisted jacket will prove perfect businesswear. For day looks, match it with vintage jeans, thus making it look more casual.